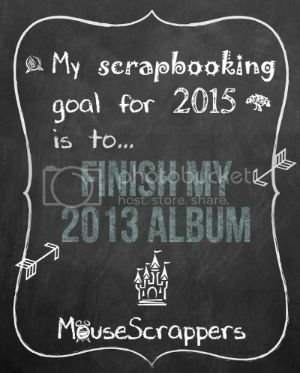 Project 2015 - what is your scrapbooking goal for the year? my goal is to get my mojo back and actually create the album for our 2010 trip we've only been 6 times since and nothing has been except for a few pages from each trip. I need to focus and do one album start to finish! I would like to complete my first trip to Disney World album from 2012. Thanks for setting this up, I love the idea and I am looking forward to it! I have many projects that I would like to finish, like all our Disney trips, but I would be very happy if I just finished one. So my goal for 2015 would be to finish our 2012 trip to WDW. My scrapping goal for 2015 is to finish up my 2008 and 2009 Disney albums. I don't usually work on them unless it is for a challenge because if I finish them I wont have any Disney photos to scrap for pages here on the boards, but since I am heading back for a few days in Feb I will have enough to get my Mousescrappers fix! I would also love to get a cruise book finished up from 2013 and get at least 6 months of my pics scrapped from the last few years. I'm actually hoping to get mine finished by around October. That way I can hopefully avoid international shipping fees (which would double the price of the book) by getting it ordered to the resort! hahaha. I feel the same way. which is another reason I have like 6-20 pages to finish in each book. Okay, I went through this thread and wrote down everyone's goals. I will post them on a new thread (in addition to below) so we can refer to it more easily. 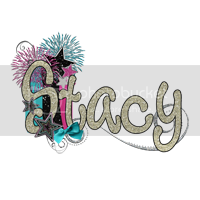 Last edited by Carolc; 01-08-2015 at 05:57 PM.